Acktar pioneers the industrialization of super-thin light-absorbing black film for wafer – level optics and miniature optics implementations. There have been many attempts in research communities to fashion black patternable light-absorbing materials suited for wafer – level optics that would exhibit highly absorptive properties over the entire EUV- VIS – IR spectral range. So far, no one has managed to master the challenge, nor control such a process in a way that would enable repetitive flow production, maintaining both thickness and density in the desired tenth of a micron resolution. The well-known light absorbing properties of Acktar black coatings are now available for semiconductor devices and miniature optics implementations. The coating thickness of Acktar Litho-BlackTM is the most popular for micro level applications; In only 0.8-3 µm it enables blocking of stray light from extreme Ultraviolet, through Visible and Infra red wavelength bands, for those demanding applications. When it comes to micro optics, the mounting of stops, apertures and baffles which constitute typical solutions for every optic system is not such a clear-cut operation; in most cases those components are inapplicable and/or bear high costs. Acktar offers a costeffective solution which allows improvement in the design and manufacturing of devices such as CMOS sensors, DMD/DLP, CCD, and MEMS. The solution: direct deposition of a thin black film induced by a proprietary PVD-process which is incorporated into the optical chip as a part of its design. This very thin yet prominently black layer is composed exclusively of non-ferrous metals and oxides, and it does not incorporate any organic materials. The coating, Litho-BlackTM, exhibits extremely low outgassing, is fully compatible with etching and lift-off processes, and is vacuum, cryogenic and clean-room compatible. One example for a practical field of implementation of the coating is the mobile optics field. Lens barrels made of molded polycarbonate the size of a few millimeters in diameter were coated with Acktar’s thin film. The result – improved optical performance of the mobile phone miniature camera by trapping stray light in the VIS wavelength range, thus eliminating ghost effects and enhancing contrast, together with improved appearance to match the device background. 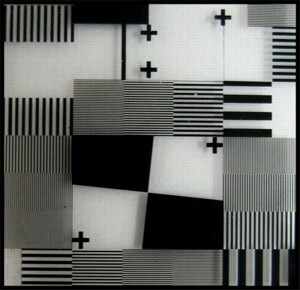 Another application for Litho-BlackTM is thermal IR detectors, made on wafer level. Among other things, those pyro-electric sensors serve as motion and presence detectors of smart air conditioners by recording the surface temperatures, detecting the exact location of humans and animals in the room, converting their thermal radiation into an electrical signal. In turn, that signal is processed to a signal that can be evaluated. Acktar coating optimizes the coverage of the field surface, the temperature of which being monitored as it enhances the energy absorption of the sensor and improves signal-to-noise ratio by eliminating over 99% of stray light. Dr. Keren Shabtai, leading scientist at Acktar Ltd., states: “Most of our customers with micro-level applications are in the development stages of new products. Depending on the application, our low reflective coatings on wafers are applied on active areas of the product or on non-active areas to enhance the sensor’s signal, or suppress stray light and prevent optical cross-talk, respectively. 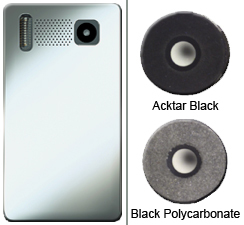 What makes the Acktar black layer an enabling technology is the fact that this very black film shows no particulation, high adhesion to variety of substrates, such as metals, polymers and ceramics, including various wafers, such as glass, silicon, sapphire, lithium tantalate, indium phosphide, or even dielectric insulating layers, such as silicon oxide and silicon nitride. The Black coating meets stringent contamination specifications, nothing less.” Shabtai adds.